Image includes new raised south grill terrace with new post and rail fences, furniture, fieldstone walls and steps. Adjacent is renovated reconfigured picnic terrace with new concrete perimeter, reconstructed lawn, pruning of existing and planted new trees. 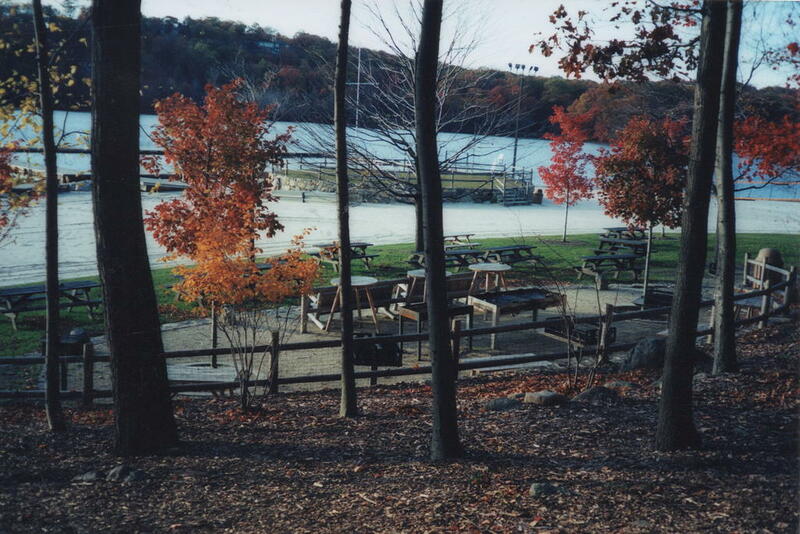 Not shown: First phase partial renovation of north grill with reconfigured picnic terrace with concrete perimeter, drainage structure with renovated lawn and sand surfaces, step access and vehicular drop off from parking lot down to beach with new infiltration drainage system for improved water quality.